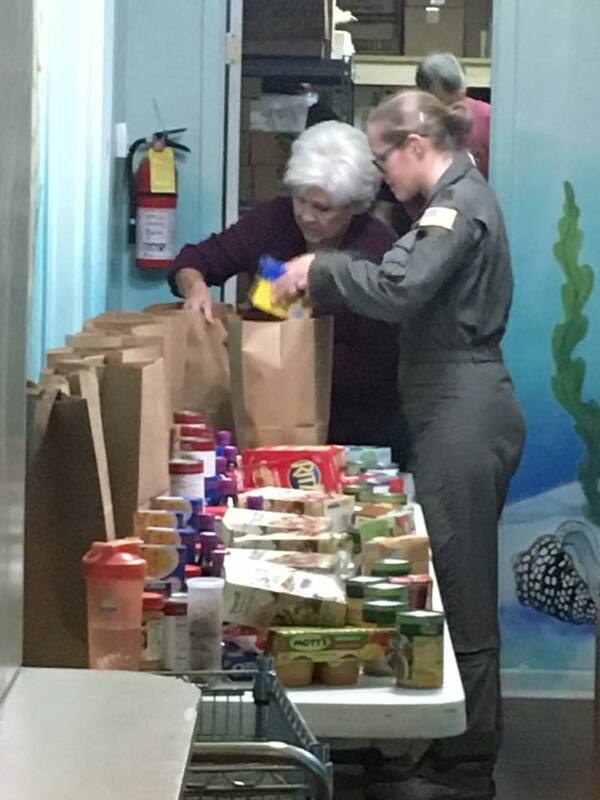 A Navarre charity that provides weekend meals for low income kids is getting some help from local military members this week. To help defray costs, organizers are asking for online votes in a holiday wreath contest that could win them $2,000. Participants can vote once per day through December 8. The contest is sponsored by PenAir Federal Credit Union. 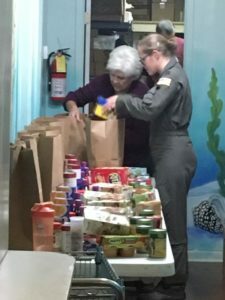 Weekend Food Program of Navarre volunteers, including area service members, will spend two days bagging meals for 456 area children to take home over the holidays. The program costs $3.25 per week per child, which includes 2 breakfasts, 2 lunches and 2 snacks. Normally, that covers the weekend; but this week, volunteers are working overtime to fill bags for the upcoming holiday break stretch. For some Navarre schoolchildren, the bags make the difference between eating and going hungry. The program serves kids in a range of dicey living situations, from those in popup campers to children who are homeless and couch surf at friends’ homes. The program works through Navarre schools to identify needy kids. Its all-volunteer staff purchase and bag groceries throughout the school year. Groceries cost about $1,000 per week, Abrams, who quit a full time job to devote more time to the program, said. Most of the group’s funding comes from local businesses and organizations, and don’t always meet the effort’s full needs. Organizers can’t accept outside donated food due to safety regulations, but grocery stores provide some items at cost. That helps monetary donations go a long way. “If somebody gives us a dollar we can stretch that so much farther,” Abrams pointed out. 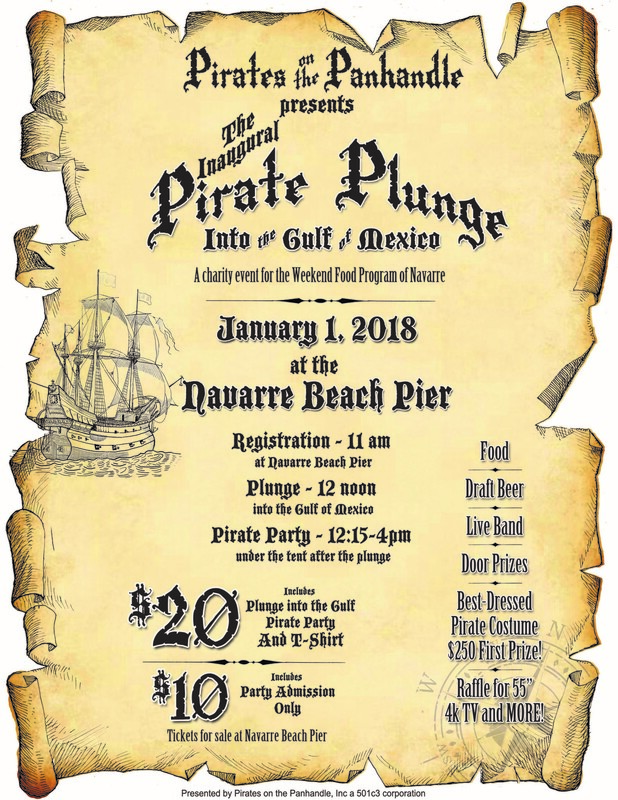 Pirates of the Panhandle are planning a “Pirate Plunge” fundraising event for the program, January 1, at Navarre Pier. For more information, to sign up for a volunteer event, or to donate to The Weekend Food Program of Navarre, visit their website www.WeekendFoodProgram.org.